Sutton Station on the coastal DART line near where we were staying. 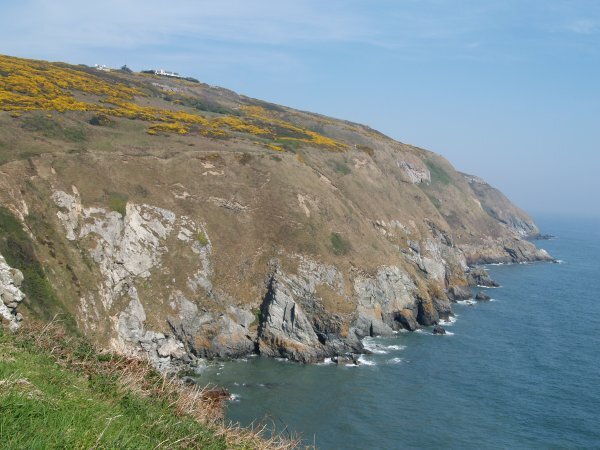 You can take the train to Howth and do the coastal cliff walk back to Sutton Station, or the other way round. 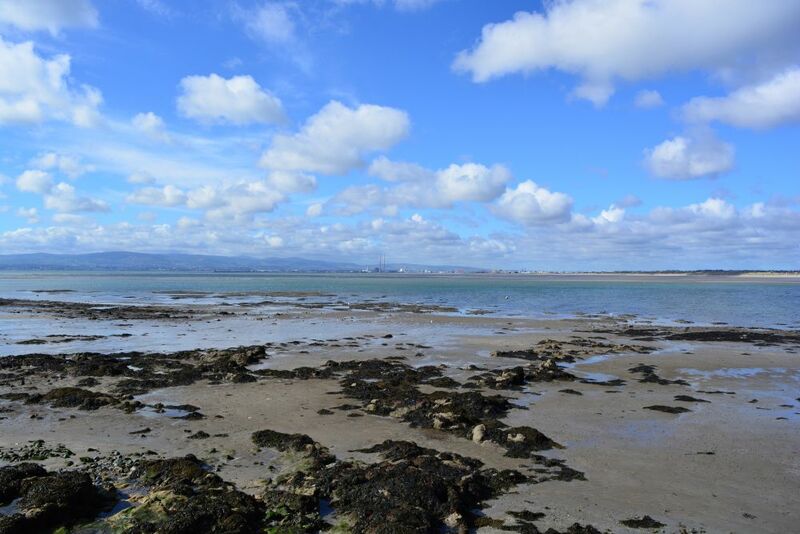 You can even walk from Sutton to Howth on the beach or vice versa if the tide is out! 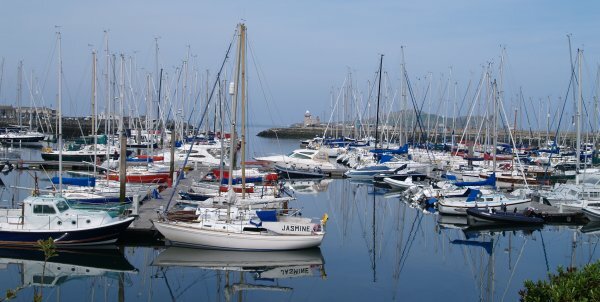 The lighthouse at the entrance to Howth Harbour and viewed through the myriad of yachts safely berthed in the excellent moorings of the harbour which you see on the start of the Howth Cliff Walk. 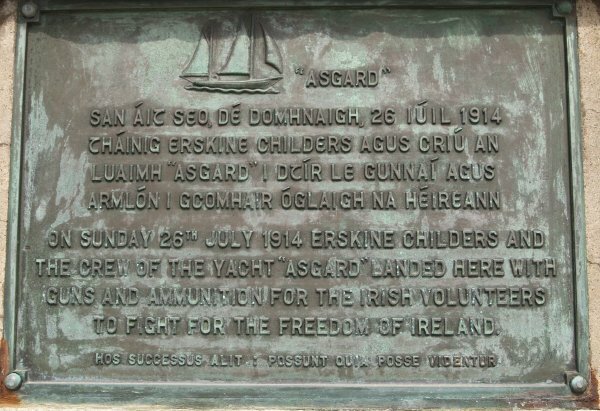 By the lighthouse is a commemorative plaque honouring the landing here on Sunday July 26th 1914 of Erskine Childers and the crew of the yacht "Asgard" laden with guns and ammunition and Irish Volunteers to fight for the freedom of Ireland. There is quite a large population of grey seals on the East Coast of Ireland and some are quite tame and are fed fish in Howth Harbour and seem to really enjoy the company of onlookers! 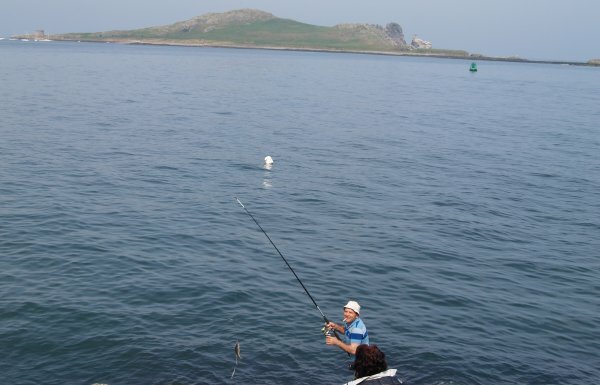 The fishing is good for humans too off the piers and breakwater of Howth Harbour - a good 'Island's Eye' for a fish! 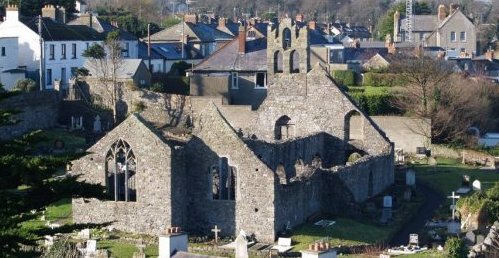 Howth Abbey occupies the site of a church founded in 1042 by Sigtrygg, King of Dublin. This was replaced about 1235 by a new church founded by Luke, Archbishop of Dublin. The buildings seen now date from the late 14th or early 15th century. 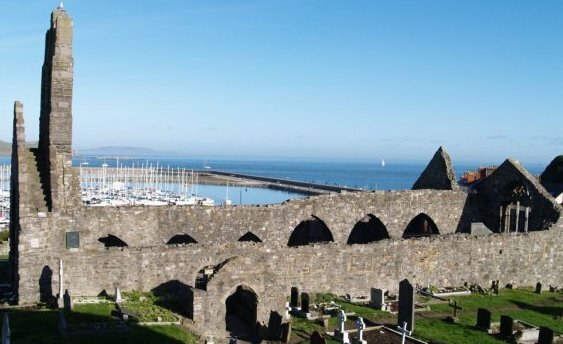 In the lovely fishing village of Howth you can find the remains of Howth Abbey, here viewed from the Martello tower above the harbour (on the left of picture below). The Abbey remains viewed from the graveyard overlooking Howth Harbour. Just below is the historic 'supposedly' 15th century Abbey Tavern, a great venue for an Irish night out, there are steps up to the Abbey entrance. After this return to the harbour and head west along a road from by the breakwater until you eventually find the start of the path. It is a wonderful sea cliff walk with outstanding views most of the way e.g. across to Irelands Eye and Lambay Island and across Dublin Bay to the Wicklow mountains. So, farewell to the fishing boats and harbour of Howth as we climb up above the sea onto the really good path around on the cliffs of Howth. Heading out to the Cliffs of Howth and looking back towards the Martello Tower (on the left of the above and below pictures), the harbour breakwater and Irelands Eye island. Martello Towers were built by the British in the late 18th century as part of the defensive system of the Napoleonic wars with France. Fishing boat returning to Howth harbour viewed from the Howth Cliff Walk. 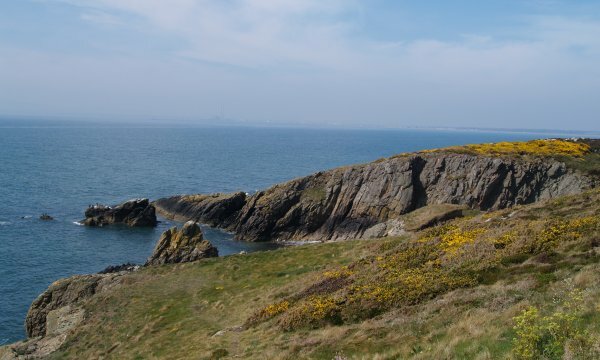 The cliffs near Howth and Lambay Island in the right-distance before turning southward to follow the clearly marked path all the way round to Sutton Cross. 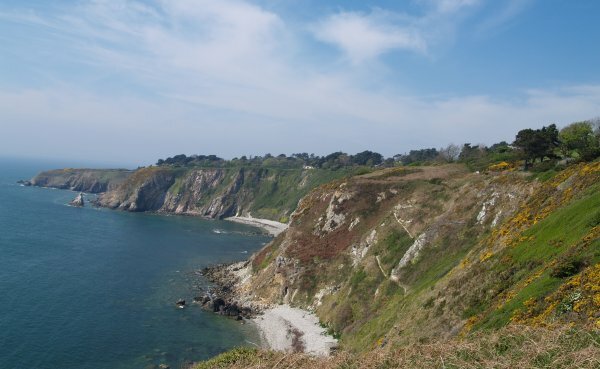 This a really great and satisfying cliff walk all the way round from Howth to Sutton, or vice versa and lots more details and images in Part 3 below. The poet W.B. Yeats lived in Balscaddon House from 1880-1883, the house near the end of the cul-de-sac road that forms the first part of the Howth to Sutton cliff walk. Ireland's Eye and Howth Harbour a half-mile into the cliff walk. 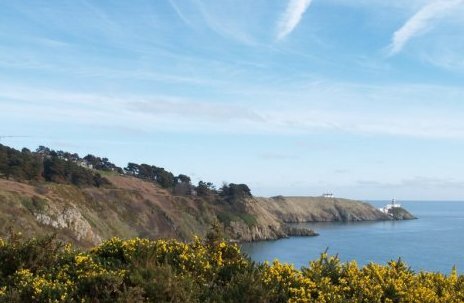 Lots of gorse out in full bloom in spring-time on the lovely Howth Cliff Walk. 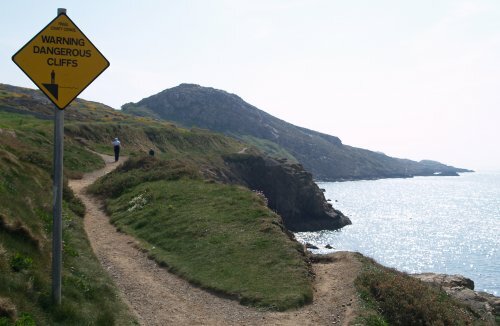 It is an easily to follow path, though stout shoes or boots are advisable when undertaking the Howth Cliff Walk. 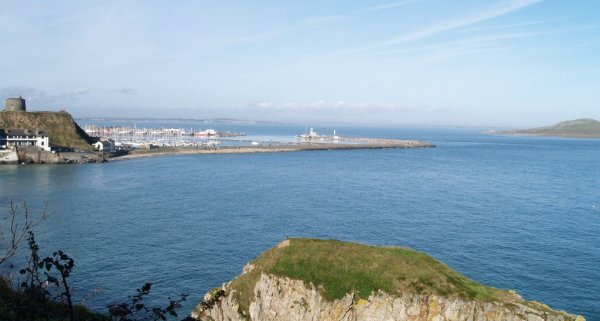 The Wicklow Mountains across Dublin Bay viewed from the Howth Cliff Walk near the Bailey Lighthouse. ... that heads southwards towards the Bailey Lighthouse. 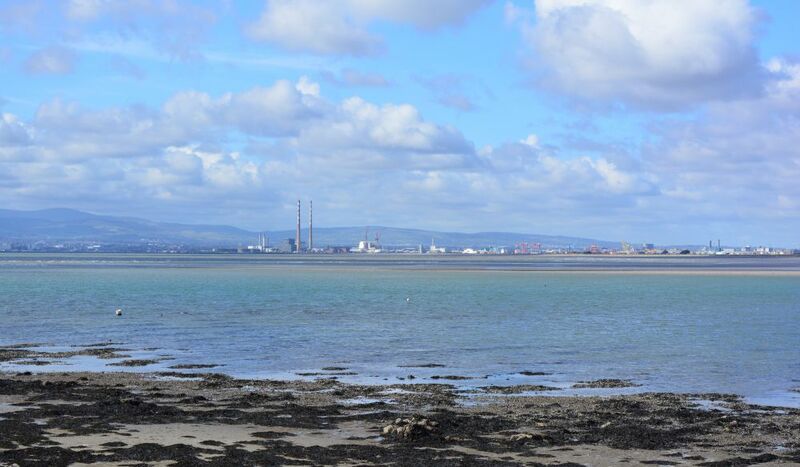 The Bailey Lighthouse and looking across Dublin Bay to the Wicklow hills and mountains. Looking back at the Bailey Lighthouse, a bit murky! 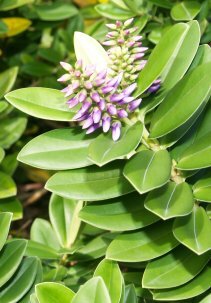 Lots of Hebe and Gorse in bloom near the Bailey lighthouse, despite it being mid-February. 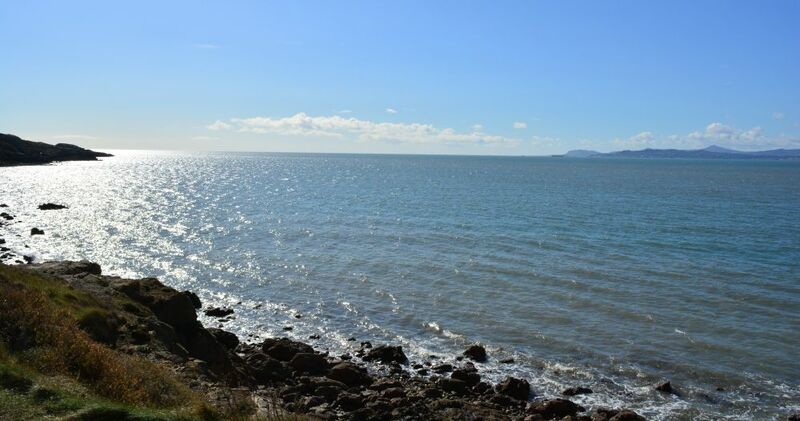 The Wicklow mountains viewed across Dublin Bay from the Howth Cliff Walk. Looking in the Howth direction passed the Bailey lighthouse - now in automated use. 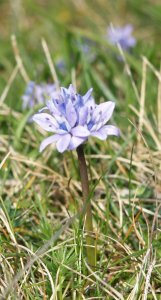 There lots of wild flowers, especially in May when we re-did the walk again! 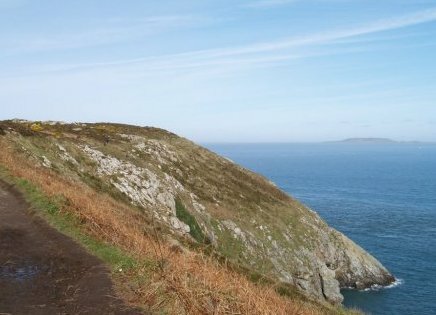 (our favourite walk in County Dublin! 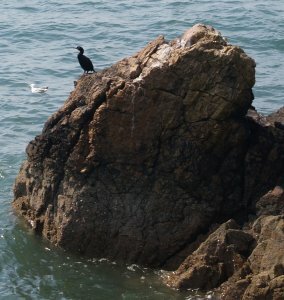 and always the seabirds on the rocks such as shags and cormorants. 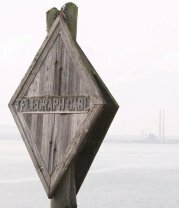 The telegraph cable sign near opposite Dublin's power station. Warning - dangerous cliffs! 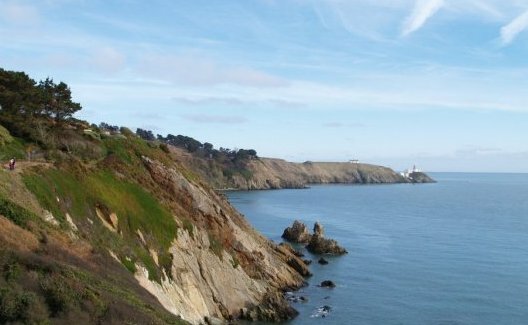 on the Howth Cliff Walk. 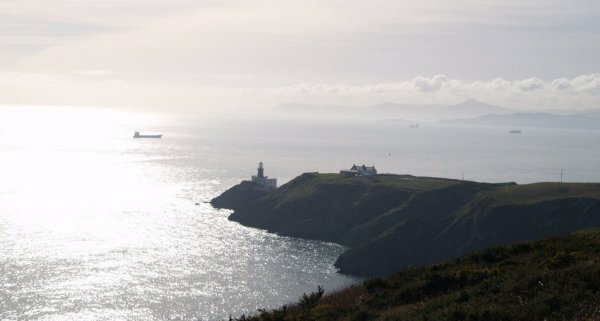 To the left is towards the Bailey Lighthouse and the Wicklow mountains in Wexford in the distant right across Dublin Bay on the Howth Cliff Walk. The coastal scenery approaching the road to Sutton Cross which is near the Martello tower. 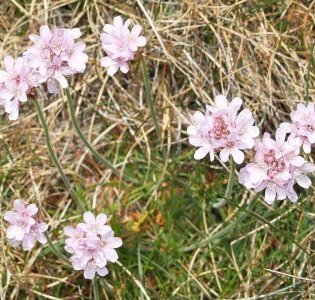 Lots of wild flowers on the walk. Zoom shots towards Dublin Port on the Howth Cliff Walk. The Martello Tower has now been fully converted to a 'domestic dwelling'! The rocks near Sutton at the end/start of the walk. Glacial deposition on top of much older igneous rocks. The Martello tower on the far left is occupied! 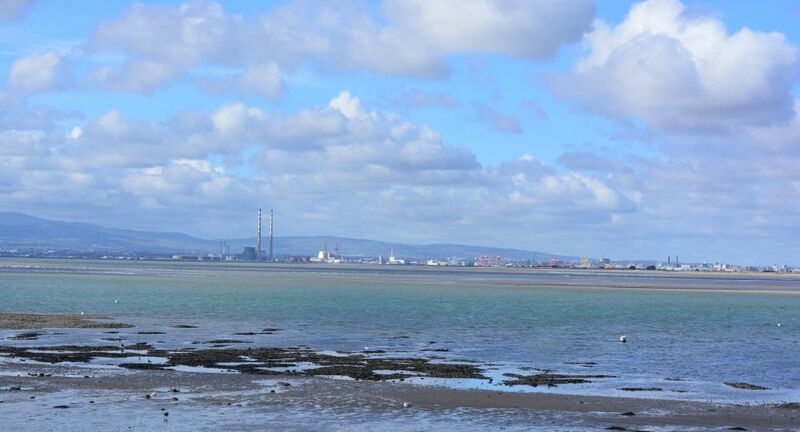 Looking across to Dublin Port from the Sutton Dinghy Club with its small sailing boats. At the end of the walk you walk by the North Bull island Nature Reserve near Sutton Cross. 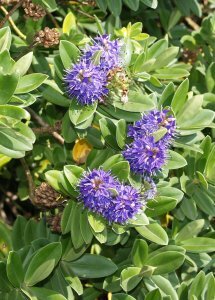 The North Bull island Nature Reserve is a good place for bird watching, lots of ducks and waders to spot. Lots of waders feeding on the mudflats. Before walking onto the shops and cafes of Sutton, you pass the beautiful Luí-na-Gréine (Path of the Sun) Winter Solstice Sunset marking stone, designed by the sculptress Clíodhna Cussen and located on the edge of Sutton Creek on Greenfield Road overlooking North Bull island Nature Reserve. 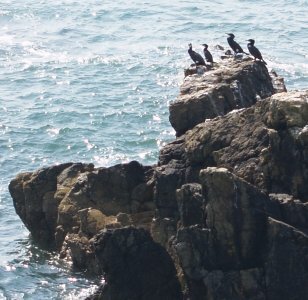 The Luí-na-Gréine stone is carved from hard granite with sun symbols and designs of artefacts from the kitchen middens of one of the first Neolithic settlements in the Howth region. The Luí-na-Gréine stone is in perfect alignment with the setting sun on the Winter Solstice (21st December) when sitting on the matching stone bench at the Creek’s boundary wall. 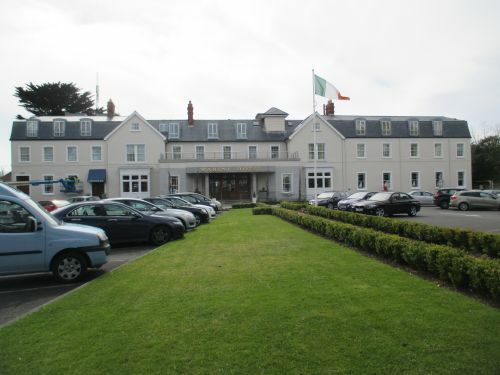 The marine Hotel, Sutton, offers one venue for refreshment after the Howth Cliff Walk.